I have spent a lot of time formulating a simple explanation how to form short answers to questions with the verb TO BE. You can find my previous attempt here. While the previous explanation did not work very well, this time, I feel that it is so simple that even the less gifted students understood it. I hope it will work for your students too. Please let me know. 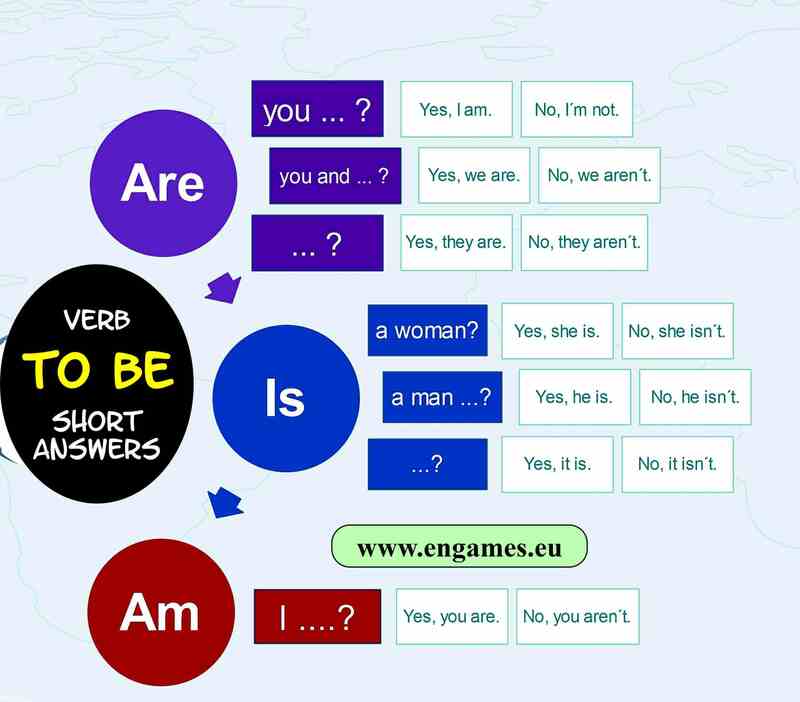 In this post, there is a simple infographic explaining the usage of the short answers, and a speaking grammar activity to practice the grammar. The following infographic tries to simplify the decisions students have to make. To form the short answers correctly, students have to start from the beginning of the question. The first word is crucial. If the question starts with AM, then the answer is either YES, YOU ARE. or NO, YOU AREN´T. If the question begins with IS, then the students have to see, what follows. If it is followed by a woman, then the answers are YES, SHE IS or NO, SHE ISN´T. If IS is followed by a man then the answer is YES, HE IS or NO, HE ISN´T. In all other cases, the answers are YES, IT IS. or NO, IT ISN´T. If the question starts with the word ARE then you have to see what follows it. If it is followed by YOU AND, the answers are YES, WE ARE. or NO, WE AREN´T. If the word ARE is followed by YOU without AND then the answers are YES, I AM or NO, I´M NOT. In all other cases, the correct answers are YES, THEY ARE or NO, THEY AREN´T. The explanation might sound a bit complicated, but it is quite clearly depicted in the infographic. The main objective of this part is to give your students an opportunity to practise what they have learnt so far. The activity is called pair cards. Students work in pairs. Print the following worksheet and give each student in the pair one half of it. Ask the students to work on their own and fill the free spaces with short answers to the questions. When they finish, they work in pairs and read their answers to their partner. The partner listens and checks whether their answers are the same as they have on their worksheet. This usually leads to clarifying the grammar and peer help. After this, one of the students folds the paper in such a way that they cannot see the short answers. They read the questions aloud and say the short answers. Their partner sees the answers are correct and corrects as necessary. Three minutes later they swap. Did the inforgraphic and speaking activity work?